Master of Advanced Studies in Medical Physics The Master of Advanced Studies in Medical Physics (MMP) is a two-year advanced training programme run jointly by ICTP and the University of Trieste. The programme is designed to provide young, promising graduates of physics or related fields (mainly from developing countries) with postgraduate theoretical and clinical training so that they may be recognised as clinical medical physicists in their home countries.The programme comprises a year of basic and advanced courses (taught in English) prepared with the assistance of experts from ICTP's UN partner the International Atomic Energy Agency (IAEA). 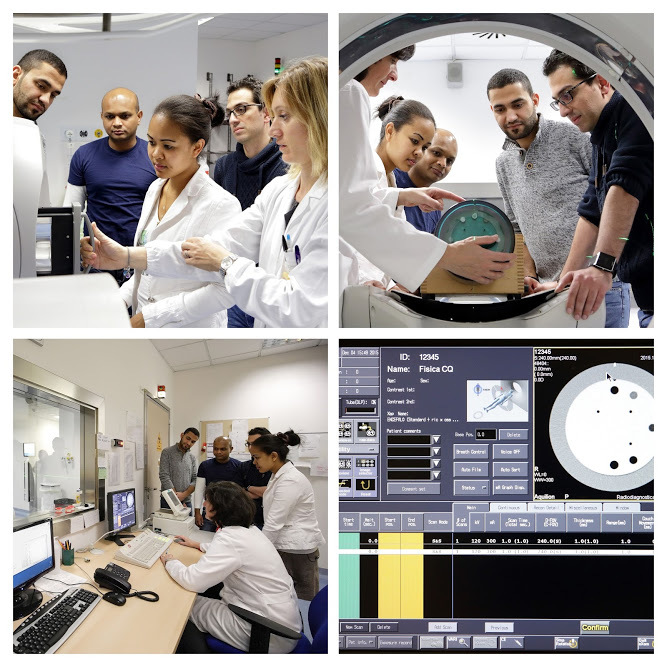 This is followed by a year of professional clinical training in a medical physics department of a hospital in the programme's training network.The MMP is co-sponsored by the IAEA, and is supported by the International Organisation for Medical Physics (IOMP) and the European Federation of Organizations in Medical Physics (EFOMP), in collaboration with Trieste hospital.